Nike is known for pushing the envelope on how consumers wear and interact with their sneakers. 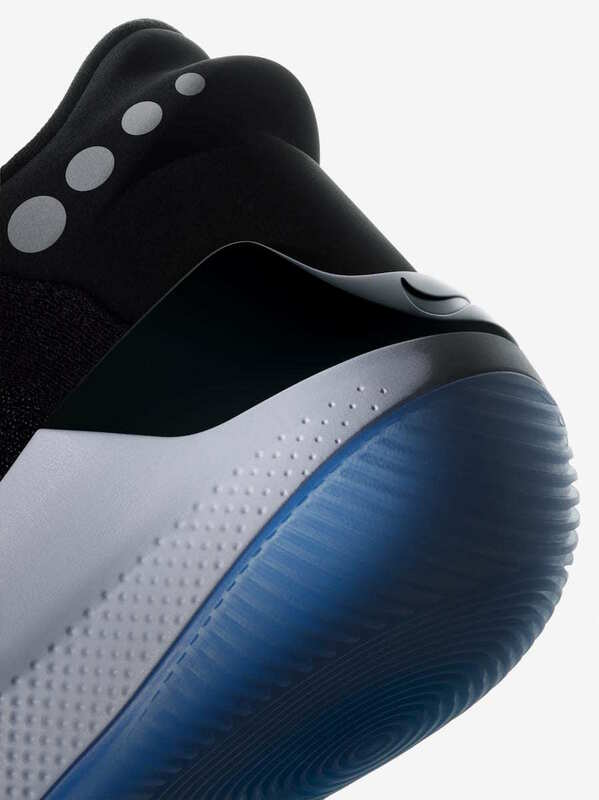 After debuting the game-changing auto-lacing tech in 2015, FitAdapt technology is back in 2019 on the Nike Adapt BB. Nike’s Adapt technology has been a long time in the making. First conceptualized in 1985 in Back to the Future II, the idea behind the tech is a pair of sneakers that can adapt to any wearer’s foot. The dream did not become a reality until 2015, a full thirty years after the initial idea. On the anniversary of the film, Nike dropped the bomb that they’d finally done it, debuting the auto-lacing mechanism in a movie replica pair of the Nike Air Mag. 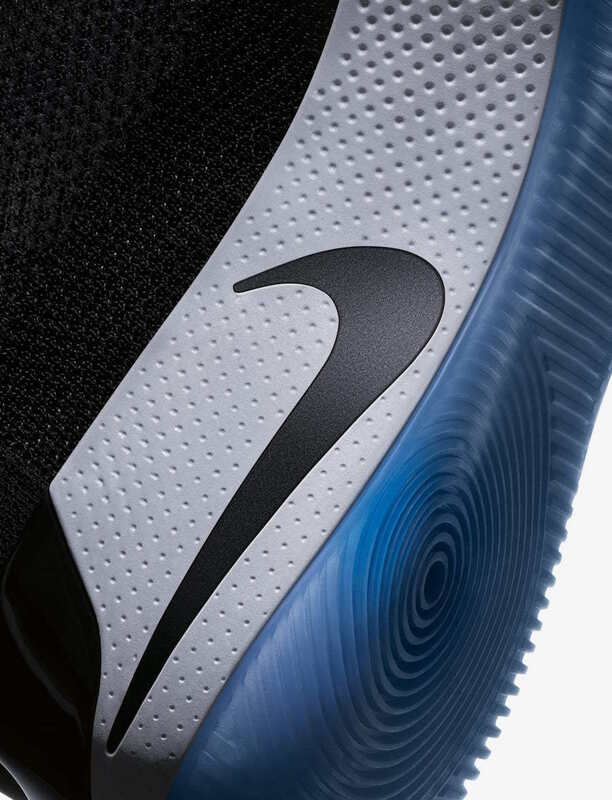 Soon, the new technology, labeled Adapt, would debut in a signature model which was named the HyperAdapt. This model spent a long time in development limbo, as last year saw the release of over 12 new colorways, with very few sales overall. While this was likely due to the whopping $720 price tag, Nike is aiming to change that this year. Nike has been hard at work improving their innovative lacing technology. When the HyperAdapt first went on discount for Swoosh employees, many fans’ ears perked up at the news. This could only mean one thing: a consumer price drop was on the horizon. And, 12 months later, it’s finally here. 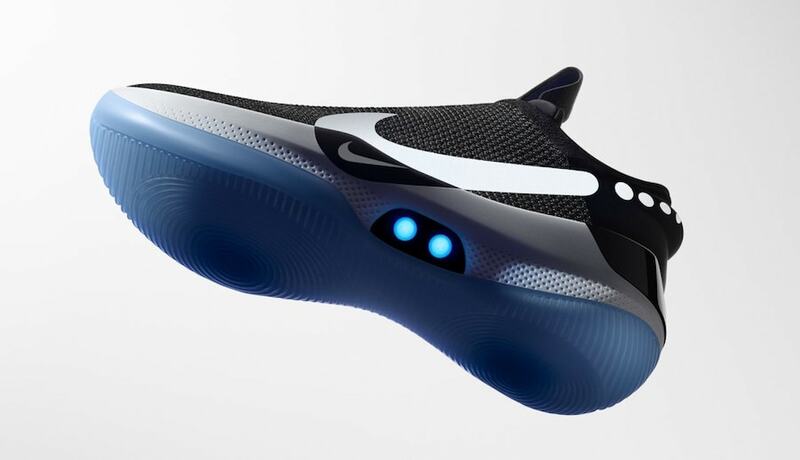 After spending months reinventing the underfoot motors in the original HyperAdapt, Nike innovators have finally created a version that is smaller, lighter, quieter, and more durable. Now titled FitAdapt, the new iteration is made for a wide variety of sports and athletes, thanks to the ability to seamlessly adapt to any foot. While FitAdapt will first debut on the Adapt BB, a basketball shoe, Nike lead designers Tinker Hatfield and Eric Avar say that the improved mechanism will soon find its way into sports like baseball, football, and more. For now, though, FitAdapt will be strictly reserved to the basketball court. The Nike Adapt BB is a great looking shoe. While most information about the shoe is still largely in the dark, Nike has revealed several important facts about the new model. 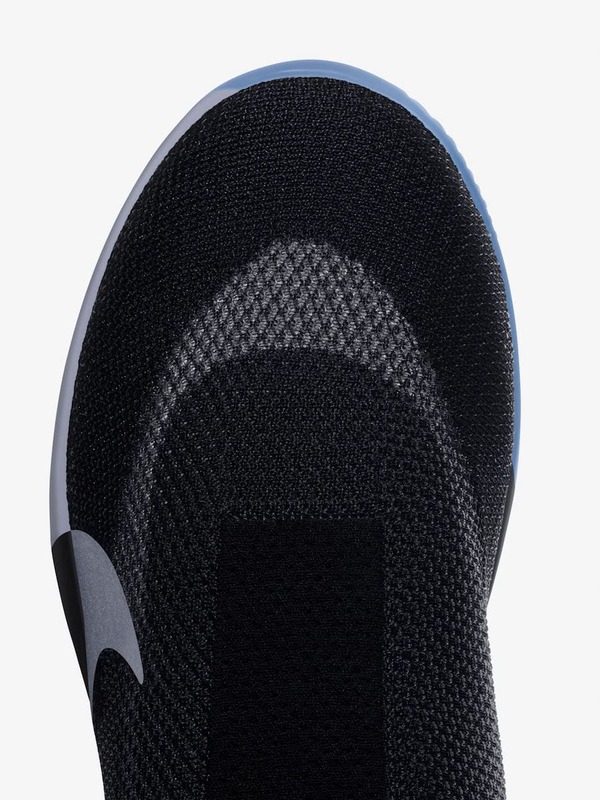 First, most of the shoe is protected by a Flyknit shroud in front to fit flexibly with the FitAdapt tech. An enormous Swoosh adorns the outer side, with a smaller version at the lowest point. 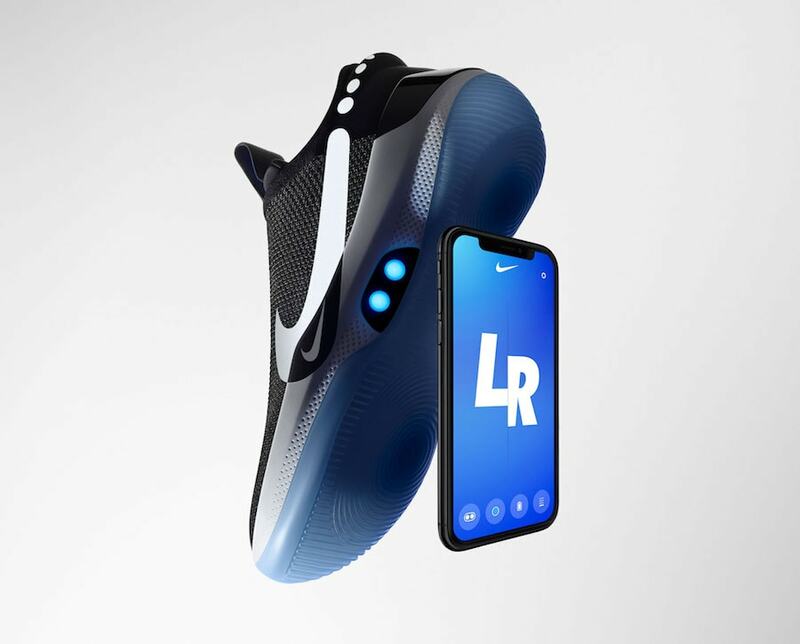 Beneath this, the midsole features two LED lights that change colors and indicate battery life, which, along with the laces, can be controlled through a special app Nike designed to bring the wearer closer to their shoes. 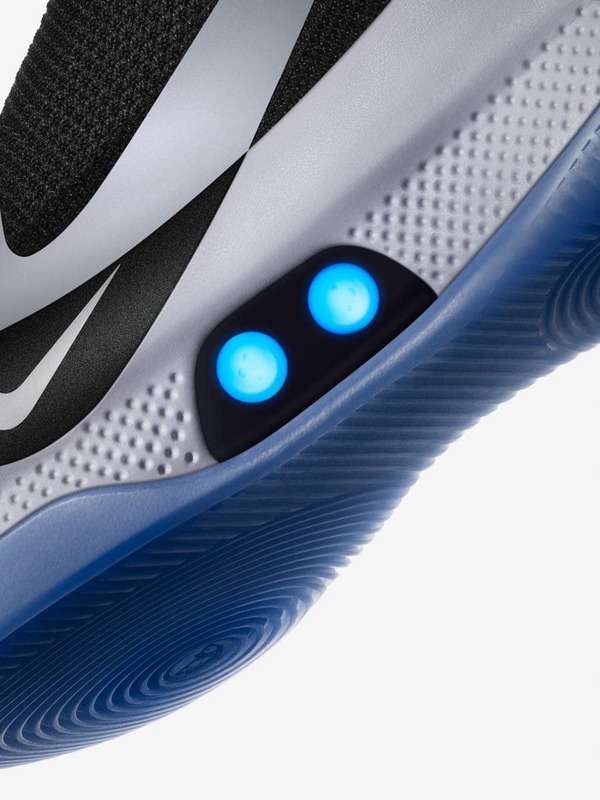 Nike’s updated auto-lacing technology will debut in the Adapt BB next month. After the announcement this morning, a limited run of the shoes was made available for preorder. The Adapt BB will also release in a string of promotional drops until the final SNKRS release on February 17th, 2019. 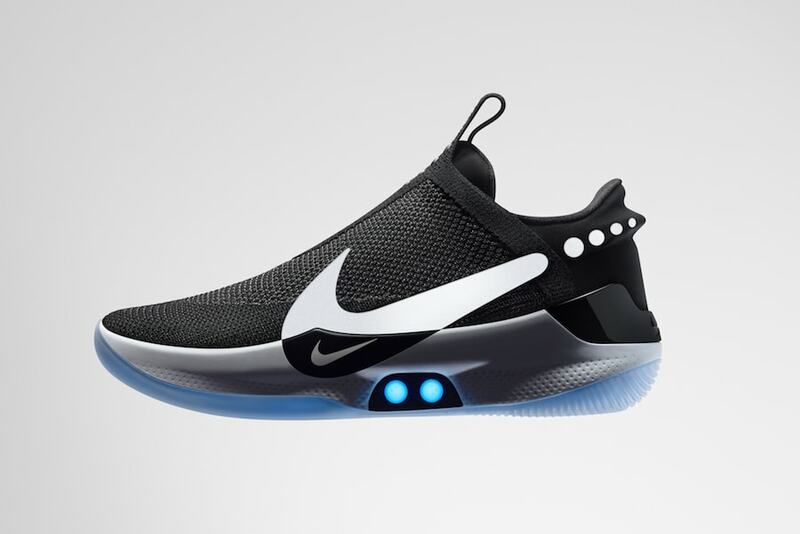 The sleek new silhouette will retail for a cool $350, which is a significant price decrease from the HyperAdapt’s $720 tag. 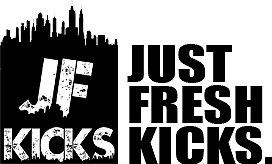 Check out the official images below for a better look, and stay tuned to JustFreshKicks for more Nike FitAdapt news.